Farrar, Straus and Giroux, 9780374182212, 336pp. A hundred years ago, the Viennese satirist Karl Kraus was among the most penetrating and farsighted writers in Europe. In his self-published magazine, Die Fackel, Kraus brilliantly attacked the popular media's manipulation of reality, the dehumanizing machinery of technology and consumer capitalism, and the jingoistic rhetoric of a fading empire. But even though he had a fervent following, which included Franz Kafka and Walter Benjamin, he remained something of a lonely prophet, and few people today are familiar with his work. Luckily, Jonathan Franzen is one of them. 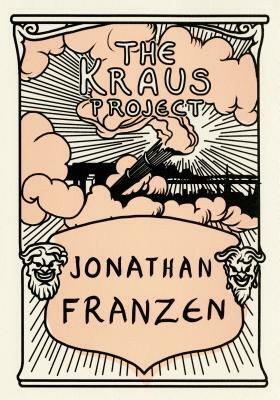 In The Kraus Project, Franzen, whose "calm, passionate critical authority" has been praised in The New York Times Book Review, not only presents his definitive new translations of Kraus but annotates them spectacularly, with supplementary notes from the Kraus scholar Paul Reitter and the Austrian author Daniel Kehlmann. Kraus was a notoriously cantankerous and difficult writer, and in Franzen he has found his match: a novelist unafraid to voice unpopular opinions strongly, a critic capable of untangling Kraus's often dense arguments to reveal their relevance to contemporary America. While Kraus is lampooning the iconic German poet and essayist Heinrich Heine and celebrating his own literary hero, the Austrian playwright Johann Nestroy, Franzen is annotating Kraus the way Kraus annotated others, surveying today's cultural and technological landscape with fearsome clarity, and giving us a deeply personal recollection of his first year out of college, when he fell in love with Kraus's work. Painstakingly wrought, strikingly original in form, The Kraus Project is a feast of thought, passion, and literature.